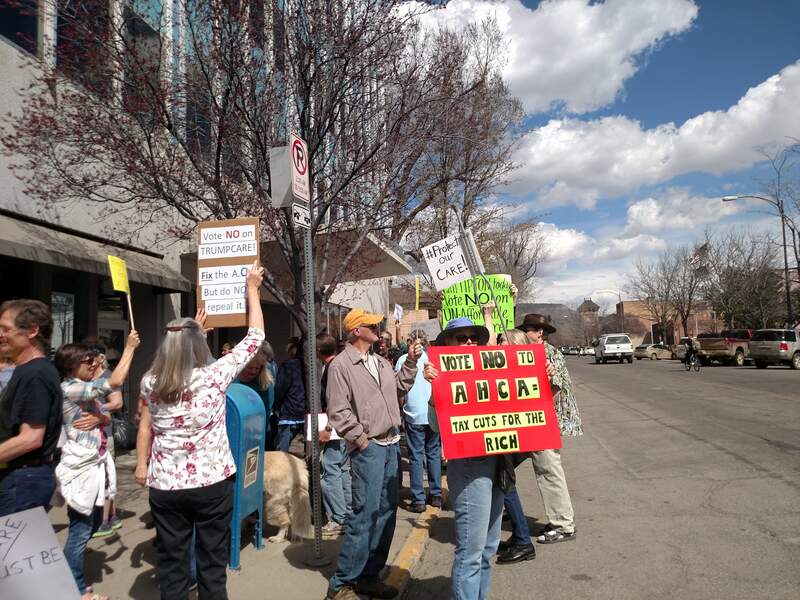 About 50 demonstrators stood outside Rep. Scott Tipton’s Durango office on Tuesday in protest of President Donald Trump’s American Health Care Act. The U.S. House of Representatives is scheduled to vote on the measure Thursday. Demonstrators said President Trump’s new health care plan will cost thousands of dollars more for Affordable Care Act beneficiaries to stay insured. About 50 people rallied outside U.S. Rep. Scott Tipton’s East Second Avenue office on Tuesday, asking the representative to oppose the American Health Care Act when the House votes on the measure Thursday. The bill, nicknamed Trumpcare, would replace former President Obama’s Affordable Care Act and, according to the Congressional Budget Office, result in the loss of health insurance for about 24 million Americans by 2026. The bill is expected to make those who depend on the Affordable Care Act pay 15 to 20 percent more in the next three years to stay insured. Some won’t be able to pay that difference, such as local resident George Foster’s 34-year-old daughter, who has disabilities and earns about $12,000 annually. Rosemary Fleming, committee co-chairwoman and a nurse practitioner for 25 years, said the Affordable Care Act has flaws, but she has witnessed firsthand how the system has helped her patients get preventative care and avoid bigger and costlier medical problems. 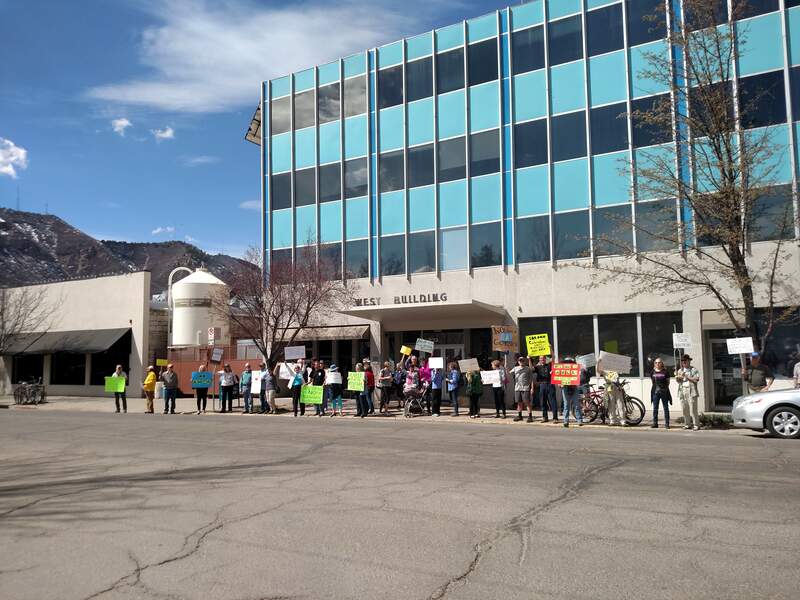 Tipton’s office could not be reached on Tuesday, but Tipton has previously said he favors repealing the Affordable Care Act.